The industry recognises the need to take a tailored, outcomes-based approach to the NHS in order to complement face-to-face relationships developed by the sales force and medical science liaisons (MSLs). This strategy, which involves highlighting the health economic benefits of a new drug or service, and explaining how it fits into the care pathway, can play a key role in helping to improve patient outcomes within the cash strapped NHS, which is increasingly interested in collaborating with the life sciences industry, on and offline. However, a recent report from McKinsey & Company suggests that biopharma must do more to harness the power of digital channels in order to provide the kind of targeted, personalised digital communications that healthcare professionals (HCPs) need. The McKinsey & Company report titled: ‘Medical Affairs: Key Imperatives for engaging and educating physicians in a digital world”, states that ‘81 percent of physicians are dissatisfied with their interactions with biopharmaceutical companies, and more than 40 percent no longer perceive a “need” for medical support from pharma’. The report claimed that physicians’ dissatisfaction is driven by a perceived lack of personalised, relevant content (28 percent) and appropriate communication channels (17 percent). As referenced in the report, the highly regulated environment in which pharma and biopharma companies operate is partly to blame for their failure to harness the power of digital channels to provide targeted, personalised digital communications for HCPs. Naturally, pharma has historically prioritised promotional budgets and activity to drive sales performance. However, now is the time to explore how pharma can share the huge range of valuable clinical information at its disposal in order to work more closely with the NHS and help to optimise the performance of NHS staff. This, in turn, will build relationships, reputation and value for both the NHS and pharma. For example, pharma has extensive medically approved, clinically relevant and compliant content at its disposal that could be highly beneficial in helping NHS staff to keep abreast of the latest developments and thinking in disease and therapy areas. This content ranges from clinical evidence papers, to trials results reported in conference highlights and clinical guidelines. Reports from joint working initiatives that show, for example, how new treatments are changing patient pathways, could also provide useful insights to selected staff nationally and regionally. Pharma can also support HCPs by sponsoring Continuing Professional Development (CPD) modules, which could include questionnaires and case studies. This could be particularly useful since many HCPs are finding it increasingly difficult to access traditional CPD courses, following funding cuts. Planning the mix of channels through which to disseminate valuable educational content is, of course, critical. The frequency with which HCPs visit those channels and the level of trust they have in them are an important measure. Evidence suggests that NHS staff intranets are an integral part of an HCP’s daily work, and are used multiple times a day, with visits usually lasting between six and nine minutes, depending on the user group and the tasks. Interviews with senior nurses and consultants show that NHS intranets are the critical, digital gateway into everything they have to do from booking patients on to specific care pathways and accessing medical test results to keeping abreast of best practice and hospital policies. 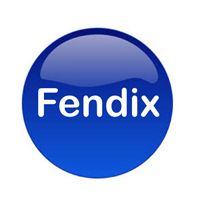 Fendix has created a unique, secure and compliant channel through which organisations can engage healthcare professionals and other NHS staff with valuable content designed to optimise efficiency. This content can be disseminated via NHS staff intranets and, where relevant, on NHS public websites. There are currently 71 NHS trusts in the Fendix network, which covers more than 300 hospitals, 450,000 healthcare professionals and around five million patients. Staff can be targeted via 80 NHS job functions, according to seniority and speciality, and also by region. All the contracted NHS organisations in the Fendix network receive a revenue share, which can be used to improve patient care. There are many ways in which pharma can engage and educate across multi-disciplinary teams and in different geographical regions via the Fendix network. For example, one company is engaging with an audience of oncology specialists across the network to raise awareness of a specific gene test that can be performed to identify at risk patients. It is delivering specific messages around the benefits of the gene test and pointing them towards content pages with full details of the test and how to get more information. Audiences are engaging heavily. Opportunities also exist to engage the patient population by making relevant, supporting patient information available on NHS public websites. By signposting its availability to the prescribing clinicians, via the corresponding staff intranets, and to the patient at the point of dispense, pharma can provide a very joined up and tailored experience. As the resource constrained and cash strapped NHS looks for ways to collaborate with the life sciences industry to further improve and optimise patient outcomes, as well as staff resources, there is an opportunity for pharma to align its own objectives by sharing existing data, information and evidence. NHS staff intranets, which are a trusted and well used channel, provide an exclusive trusted, compliant and secure touchpoint through which to disseminate this type of high quality content, which, in turn, can help pharma to enhance its reputation and build relationships with HCPs.